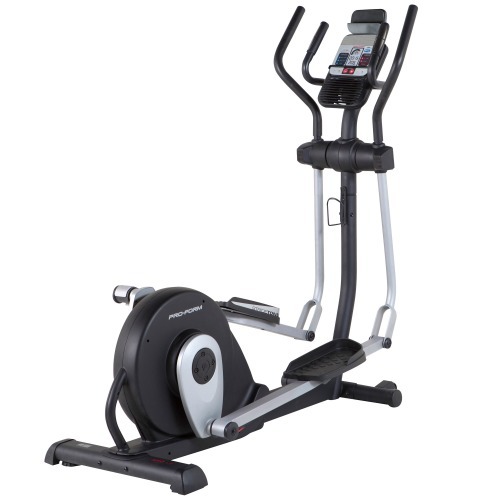 The NordicTrack E11.0 elliptical combines health club style size and feel with the benefit of having a clever folding design to make it practical for the home setting. 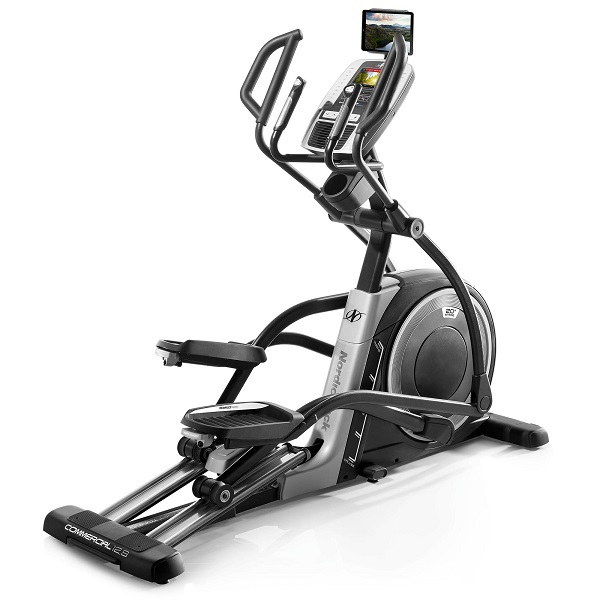 In essence, it’s rather like the best of both worlds and in the ‘world’ of Elliptical Cross Trainers, that’s a feature that makes this machine outstanding. Better yet, NordicTrack have a reputation for packing a lot of features into their machines so we were eager to discover what else the E11.0 has to offer…. 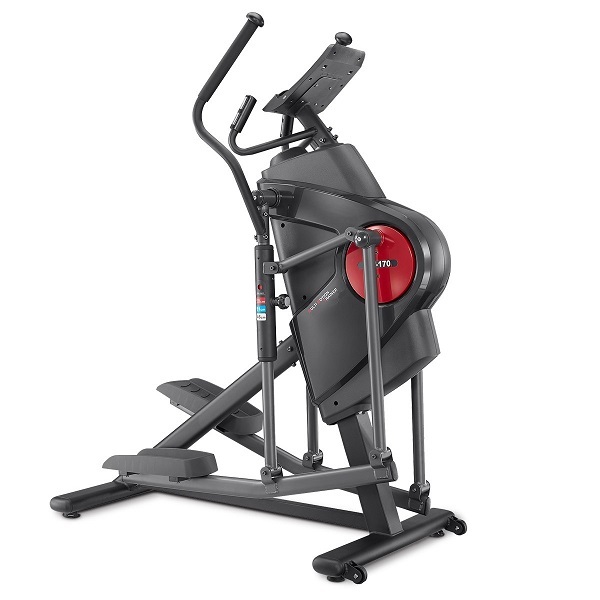 For starters it’s not just the size and design that reminded us of a commercial gym machine, the E11 has the build quality to match! 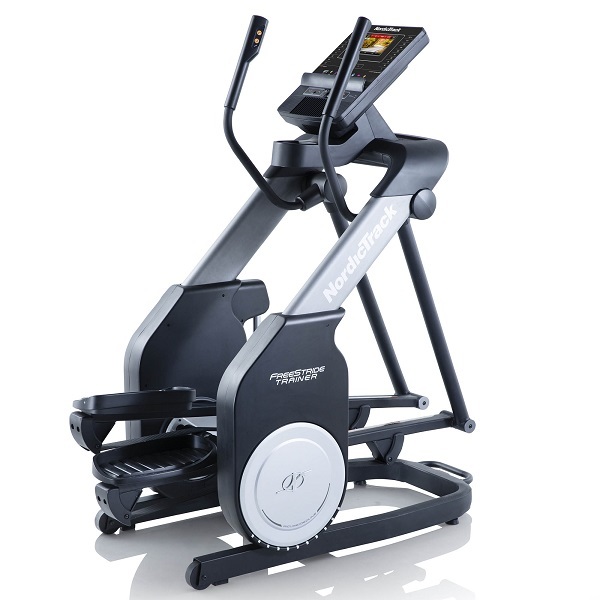 Here is a machine capable of coping with users over 23 stone and NordicTrack back that up with a reassuring warranty – giving you a Lifetime guarantee on the frame and 2 years on parts and labour! 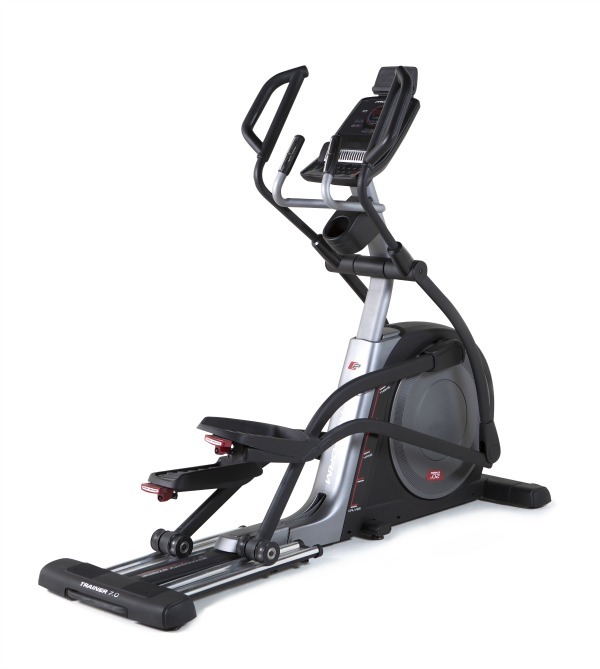 The E11 has a motorized power incline ramp which can be elevated from its standard position at 10% right up to 30%. The time it takes to make that adjustment is painfully slow (it takes nearly an entire minute to get to full incline!) BUT the wait was well worth it! 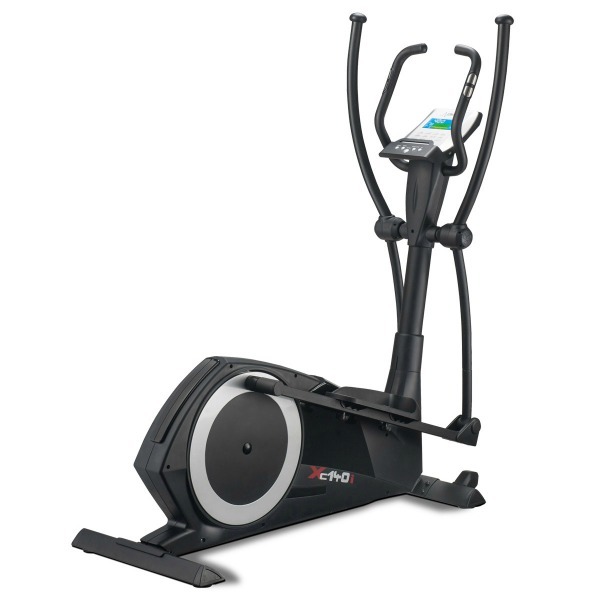 At 30% the elliptical movement takes on a noticeably different feel, giving a deeper tread (by about 2”) which feels rather more like the effect you’d expect if you crossed a stepper with an elliptical! This is a fantastic way to target the leg muscles from a whole different angle and the great news is that it still felt safe and comfortable on the joints. 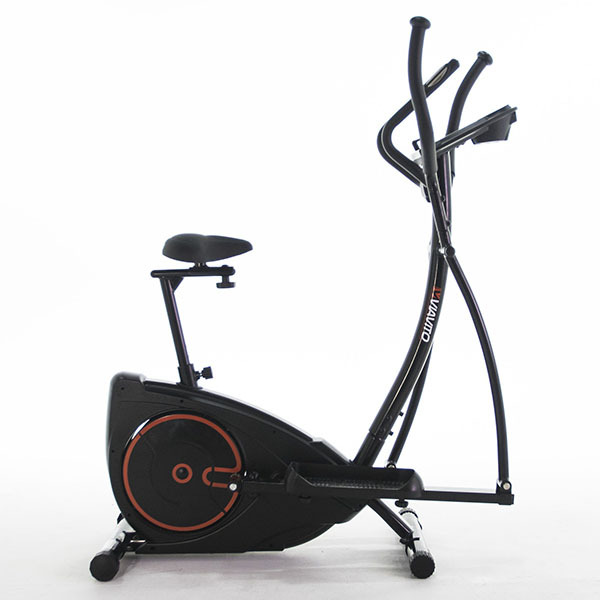 Your leg muscles can also get plenty more stimulation from the 20 resistance levels available. We found the maximum resistance level to be very tough, so whether you’re a beginner or an advanced trainer, there are gradual increments to keep progress manageable and offer plenty of challenges. We also liked the way the resistance levels can be adjusted so quickly and conveniently with the one-step keys on the console. There are 10 buttons going up in increments from 2 to 20. These programs all vary from ‘beginner’ sessions lasting 20 minutes up to hour long ‘challenges’. 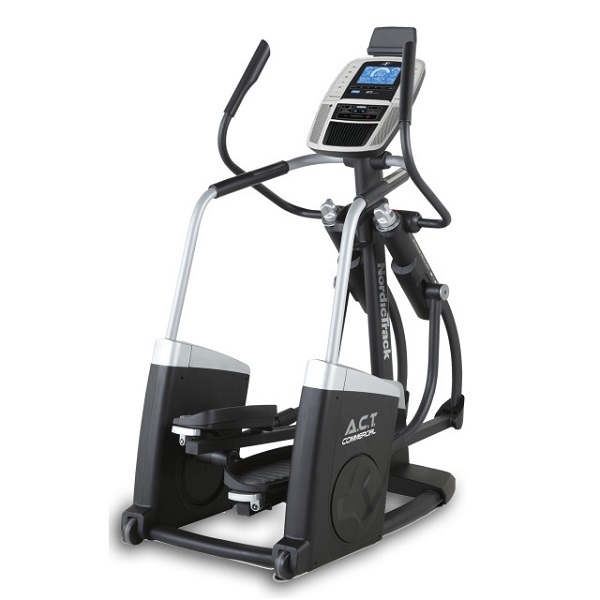 Although it’s not possible to alter the duration of the workouts, you do of course have the control to adjust speed, resistance and incline at any stage. In reality the course profiles are rather generic as with most machines. Aside from the fact that subconsciously you’d probably be concentrating more on the ‘calorie’ data during the calorie goal workouts doesn’t really make it any more suited to that particular goal than trying to burn up calories during an Incline workout! The trick is you use them all for the variety and motivation that they offer. Unfortunately due to the absence of any ‘user -defined’ programs, there is no provision to add your personal details such as gender, height, weight etc. which means that any calorie consumption feedback you get should be taken as a ‘guesstimated’ guide! For more accurate feedback, the machine can be used with a compatible chest belt transmitter so you can be assured of ‘spot on’ pulse readings from the inbuilt receiver rather than the vague results you can expect from the pulse grip sensors on the static handles. Alas there are no heart rate controlled programs, which is a great pity. What more than makes up for any programs that are lacking, is the abundance of downloadable workouts awaiting you if you subscribe to iFit Live! On the top of the console is a dock to house an iFit Module (sold separately) and it can link wirelessly to the iFit website giving you access to over 1000 workouts plus the option of creating your own routes from anywhere on the globe! From making a familiar lap round your own block to mapping out a more adventurous course abroad, you literally have the whole world at your fingertips! Thinking up new and exciting destinations and terrains should certainly get your imagination wandering, but let’s turn our attention back to the home now! The E11.0 is designed with some considerate features that should make it a welcome addition to most living spaces. For starters, when it comes to moving it, this machine may well be a large heavy unit but the chunky D-shaped handle welded to the rear stabiliser makes lifting it up fairly manageable. Once angled upwards it can be maneuvered on the large 3.5” diameter roller wheels at the front. Obviously the substantial size of this model may make it impractical if space is an issue, however thanks to the ingenious space saving folding design, the overall footprint can be reduced by over 2 feet when not in use. 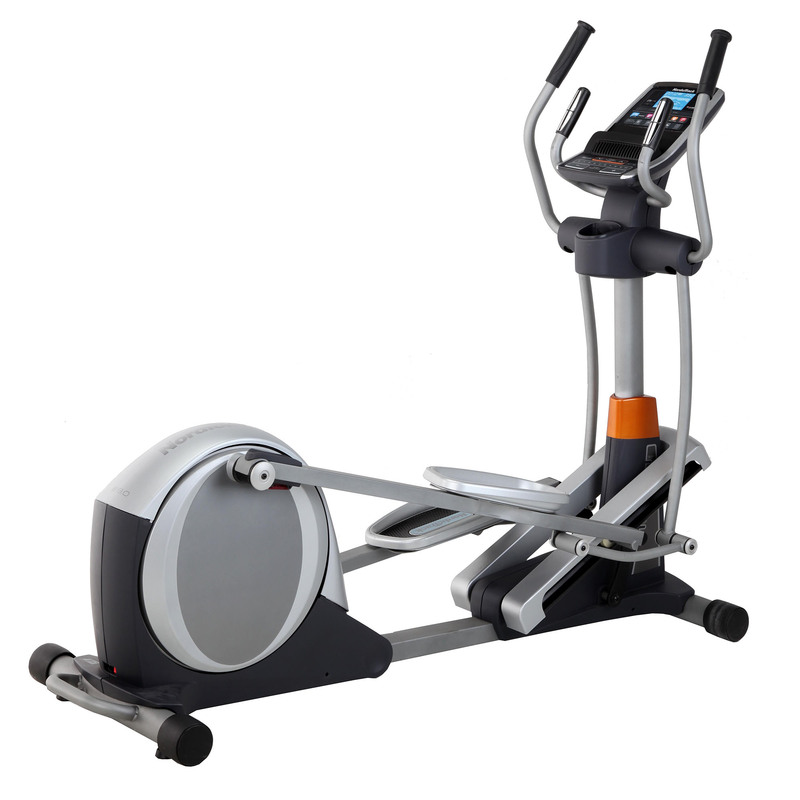 The elliptical movement is simply superb! AND let’s not forget it has a power ramp to give incline variety! Speaking of variety, you are spoilt for choice in terms of programs and when you want more, iFit live can give you hundreds to choose from! It’s fair to say that setting up the programs does take some mastering – the E11.0 is not the most user-friendly or intuitive machine we have ever tested, but it is certainly one of the most rewarding when you take the time to familiarize yourself with it. 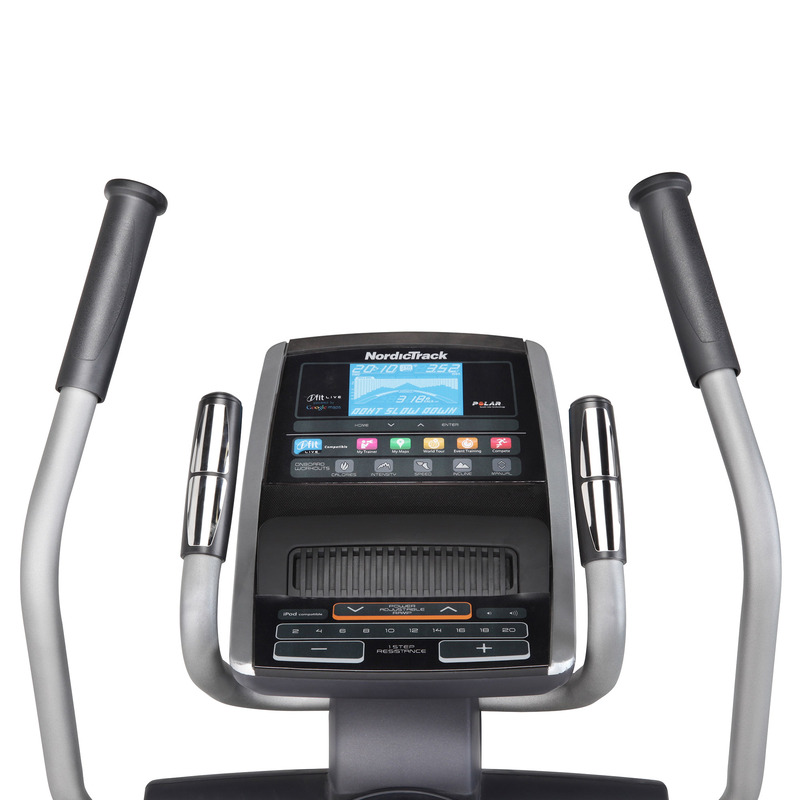 The NordicTrack E11.0 is not currently available from any retailers we're aware of in the UK. From first sight to first go the E11.0 certainly impressed us! You’re looking at a machine that wouldn't look out of place in a commercial setting yet has the clever folding design to fit in the home as conveniently as possible. 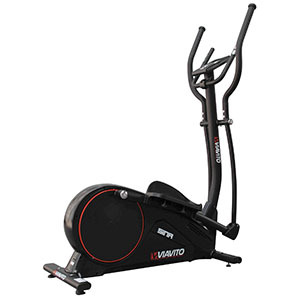 This model is not currently available from any retailers in the UK we're aware of, but there is the brand new Elite 11.0 from NordicTrack which is well worth taking a look at! A lot of machine for the money!